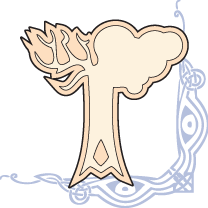 Alteration, one of the five schools of magic in Skyrim, affects the world around it by altering the laws of reality and manipulating it to one's own accord. Increasing this skill reduces magicka cost when casting Alteration spells. Historical information about the School of Alteration is provided in the lore article. The Alteration skill tree has a total of 10 perks, requiring a total of 14 perk points to fill. In-game Description: The School of Alteration involves the manipulation of the physical world and its natural properties. This skill makes it easier to cast spells like Waterbreathing, magical protection, and Paralysis. Alteration contains a range of defensive and utility effects. Magic Armor spells provide a low, temporary, but better than nothing level of armor protection; bear in mind, you should probably avoid taking the perks for them. The perks that multiply the magnitudes of the spells are deceptively bad, because even basic steel armor provides 76 points of armor protection at heavy armor skill 15 and no perks, and you have to give up real armor for the perks to function, meaning you also give up the additional damage protection all armor provides (equivalent to 25 armor in every location that can't be buffed). Because this means giving up what amounts to 176 points of armor, Oakflesh, Stoneflesh, and Ebonyflesh will never provide you with enough armor to bother (even with all 3 perks, the perks provide less than 176 additional protection). Ebonyflesh will provide 200 additional armor with all 3 perks, but because Juggernaut has no prerequisites, for only 1 perk, that same steel suit will provide 191 points, meaning the spell with perks is only managing 9 points ahead, which will rapidly decline as heavy armor skill improves (40 levels is enough to break even with the spell, with no additional perks) or more protective suits become available. Avoid the Mage Armor perks wholesale. With both the Stability and Alteration Dual Casting perks, these spells reach 198 seconds (over 3.25 minutes), and even Oakflesh provides a larger armor bonus than even a dragonplate shield, so the bonus can definitely be useful while operating below the armor cap. Just remember, you should be using these spells in addition to physical armor, never instead of. Magic Resistance; up to a passive 30% bonus is available via perks. Spell Absorption via the Atronach perk. This is one of only three ways to obtain spell absorption. Utility spells like Candle/Magelight, Waterbreathing, Telekinesis, Detect Life and Detect Dead are all of general use when exploring. Transmute allows you to turn Iron Ore into Silver Ore and Silver Ore into Gold Ore.
Paralyze is the only really offensive aspect of this School of Magic. In some ways the protective spells in Alteration are an alternative to the Wards found in the school of Restoration. †All sources of spell absorption are a percentage chance to absorb all of a spell's effects, rather than the stated percentage of each spell. ††Dual Casting an Alteration spell multiplies its duration by 2.2; this means it has no effect on Transmute, but stacks with Stability, for a net multiplier of x3.3. Only available with the Pets of Skyrim Creation. Only available with the Dwarven Armored Mudcrab Creation. Only available with the Nix-Hound Creation. Can be purchased from Talvas FathryonDB after completing the quest From the Ashes. Only available with the Arcane Archer Pack Creation. Affected by difficulty, which means you will drain more than 25 health if you play on expert or master and less if you play on apprentice or novice, but always will get 25 magicka per second. The base cost for spells is the amount of magicka that would be necessary to cast the spell at 0 skill without any perks. The magicka cost at 100 skill is 41% less than the base cost; the cost can also be reduced via enchanted apparel and by unlocking various perks. See Spell Cost for the full magicka cost equation. Skill level indicates which skill perk needs to be unlocked to decrease the spell's magicka cost. 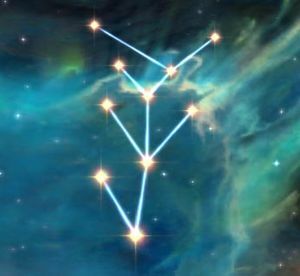 "N/A" is used for special spells whose cost is not affected by any perks. The "Where to Get" column only lists guaranteed locations for obtaining the spell tomes. Most spell tomes are also available in random loot; see Spell Tome Locations and the table below for details. For higher-level spell tomes to become available for purchase, your skill in the school must be high enough (see the table below). Also, master-level spell tomes can only be acquired once that school's ritual spell quest has been completed. All spell tomes have a weight of 1. Skill XP can be modified by scripts and by the game engine itself under various circumstances. The exact XP you receive may vary from the numbers listed here. Magicka cost and skill XP are rounded down, both in game and on this page. Because of this, you may find that you cannot cast a spell even though it appears you have exactly enough magicka to do so. †Master level spell tomes require the appropriate ritual spell quest to be completed to be sold; while the quests have a skill level requirement of 90 to initiate, if you have completed the quest and reset the skill by making it legendary, the spell tome should still be available for sale. +1 Alteration reward from Dravynea the Stoneweaver for completing the quest Dravynea's Frost Salts. +1 Alteration reward (as well as +1 to all other magic skills) from Pantea Ateia (Bards College) for completing the quest Pantea's Flute. +5 Alteration (+5 every Magic skill) by selecting "The Path of Magic" when reading the Oghma Infinium after completing the quest Discerning the Transmundane. Casting higher level spells gives generally faster skill increases (Novice<Apprentice<Adept<Expert<Master). Regenerate Magicka effects help reduce downtimes while training. It is possible to reduce or even completely eliminate the magicka cost of spells by stacking Fortify Alteration enchanting effects, which is very helpful for Alteration training. The Secret of ArcanaDB power does the same thing, but only for 30 seconds. Get a melee based follower and/or conjured melee atronach (Familiar, Frost Atronach, Ash Spawn, or Dremora Lord) to attack an enemy or group of enemies. The player can usually cast their alteration spell from safety during combat while the follower and/or conjured pet do actual fighting. This allows for leveling and questing at the same time. Casting a flesh spell in one hand and Bound Sword in the other will level both Alteration and Conjuration at the same time. Find a place with an enemy or enemies that only use melee attacks that also has a high platform or place otherwise out of reach of the enemies. Preferably, kill all but one of the enemies: Bleakwind Basin works very well for this purpose. Alternatively, along the shore of the Sea of Ghosts, the Horkers can be made aggressive without them actually attacking, allowing one to move far enough away to use the Wait function but still close enough to train the skill. And then there's Roadside Ruins, where a Spriggan Matron will notice the player, but she cannot attack since she's trapped inside. Slaughterfish can also be exploited by getting their attention and then standing on a nearby shore to cast. With both hands, continually cast the highest level Alteration armor spell. Casting the higher-level spells progresses the skill faster (Oak < Stone < Iron < Ebony), so it might be advisable to take a break part way through to go buy them once you've reached a level where the better spells are available. Often the enemy will run far enough away from your location to allow you to use the Wait function. If so, wait an hour to get more Magicka to keep casting the spell, or just wait until it refills itself. The giants in Bleakwind Basin will almost assuredly run away, though, if you're standing on the rectangular pillar near their fire. Mammoths never run away from you when they can't reach you. Using this method, one can go from 0 Alteration to 100 Alteration in roughly 40 minutes, but it depends on total Magicka available, particular spells cast, and the location chosen. Use a follower or permanent summon to continuously attack an NPC that cannot be killed. If your ally can keep the NPC on their knees, this leaves you free to repeatedly cast a spell. Once the Quiet Casting perk from the Illusion school of magic and the Throw Voice shout from Shearpoint have been acquired, one can misdirect enemies to and fro, and cast any of the "...-flesh" spells while they are searching for you. Using a magicka regeneration potion is useful in this scenario. An extra added benefit is that you can constantly sneak around enemies while casting, increasing your Sneak skill as well. The Paralyze spell is the perfect spell for Alteration training. If you reduce magicka cost to 0 using enchanted items, dual casting it on an enemy can level you up so fast that it might be considered game-breaking. With the Mage Stone, one can train Alteration from 15 to 100 in less than 5 minutes. It can be used to level up by making it Legendary over and over again. Magelight can be cast anywhere for a small amount of XP, such as while walking to some distant destination, making this a sure but slow way to level Alteration. After you learn Water Breathing, another way to quickly level Alteration is to stand in water and repeatedly cast Water Breathing. You don't actually have to be underwater, just standing in it (this only applies to pools of water you could actually dive into; so the small streams in Whiterun won't work, but the river outside will, as will the pool just outside the entrance to Dragonsreach). The Detect Life spell increases your Alteration experience depending on the number of targets it is currently detecting. Using it on your horse in the wilderness is almost useless, while using it in crowded location (the market in Riften during the day, for instance) gives incredible training speed. The more living objects in range, the better. Depending on the amount of NPCs within range, it should be possible to level Alteration from 15 to 100 in around 20 minutes in the following locations. Between 8am and 5pm the markets in most walled cities can be used to power-level Alteration. Riften's, Whiterun's, and Windhelm's markets have particularly high numbers of NPCs, while standing between the market and Castle Dour in Solitude will boost the low market numbers with soldiers from the castle grounds. Later in the day moving to the main tavern will allow for more power-leveling. The Silver-Blood Inn (Markarth), The Bee and Barb (Riften), the Winking Skeever (Solitude), the Bannered Mare (Whiterun), and Candlehearth Hall (Windhelm) are the most populated inns in the walled cities. The Retching NetchDB in Raven Rock also has high numbers. After the Civil War is over, either the Blue Palace (Stormcloaks) or the Palace of the Kings (Imperial Army) will be packed with exiled Jarls and their most loyal allies. Holding any object in the air with Telekinesis without picking it up also gives a very high amount of experience. If the suspended object touches any NPC they will become hostile though, so be careful. If you can get a total of 100% magicka reduction cost (such as through the use of the Secret of ArcanaDB power), and fast travel while holding an object, the game will act as if you had kept casting for the whole duration of the travel, and level Alteration appropriately. For example, fast traveling between Riften and Markarth will increase your Alteration skill to 100, even if you start from 15. Outside combat, you can gain a substantial amount of Alteration experience if you know the Transmute spell by using it to transmute iron ore into silver and gold ore. Even at low levels of Alteration, it should be possible to cast Transmute (an Adept level spell), although if you have been busy mining it may take a long while to turn all of your iron into gold (which you can then smith into jewelry for Smithing experience). The Transmute spell is not available from spell merchants, but the spell book is in two fixed locations in dungeons. This page was last modified on 23 November 2018, at 09:39.